Good news: Summer isn't over yet. 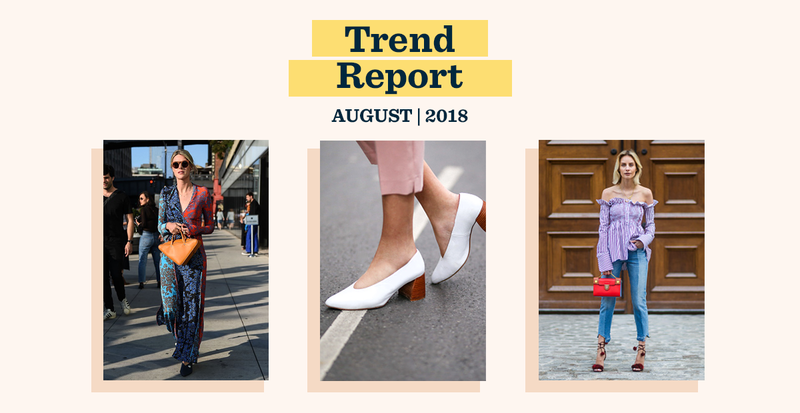 Get prepped for August with three of the hottest trends happening now. It's all about updating your favorite pieces with unexpected accents. Which ones will you try? Why pick one hue when you can have two? 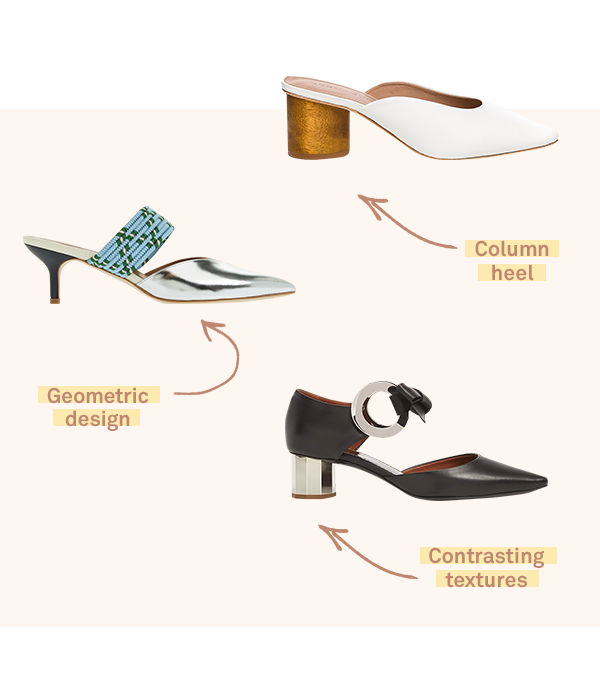 Contrast heels are a subtle way to liven up your summer shoe rotation. A neutral outfit can really pop with a flashy palette like silver and neon. A more classic combination—like black and brown leather—looks good with everything. Update your go-to tote with a statement-making shape. Our favorite picks pack twice the personality of a standard carry-all. 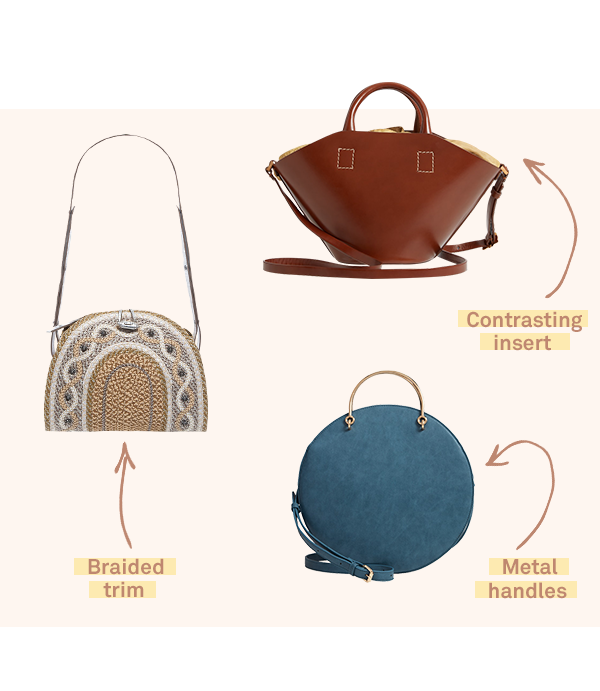 Try a retro-inspired round handle bag or a wide leather bucket bag for a stylish punchline. Feeling extra-expressive? Opt for a boho-chic number with fun studs. 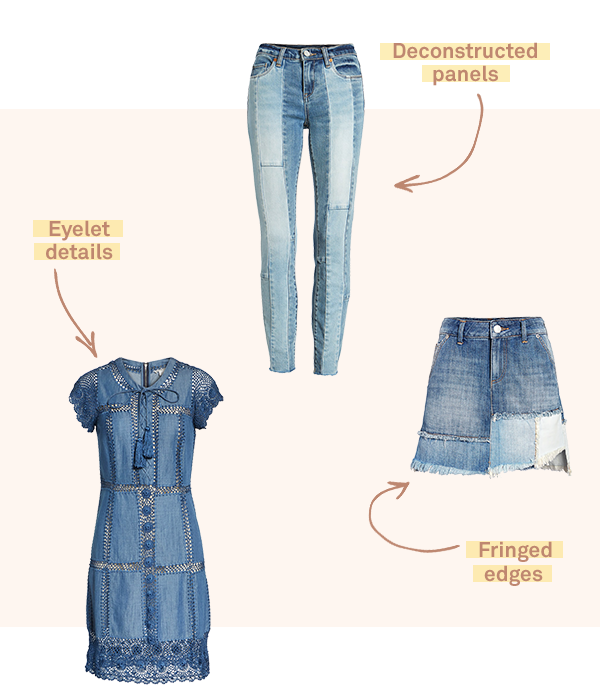 Patched denim has come a long way since the days of DIY repairs. This deconstructed trend takes many forms. Try a contrast patch skirt for a cool off-duty look, or pair your favorite tee with multi-toned skinny jeans. A feminine crocheted dress is perfect for dressy summer outings.